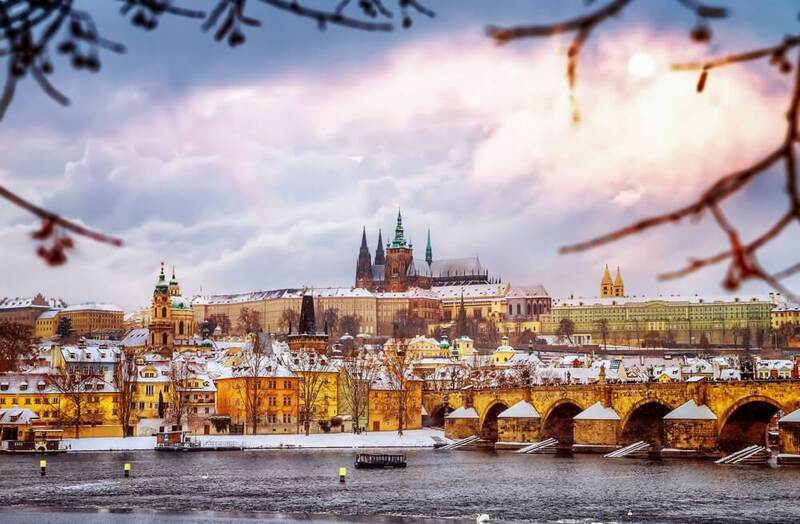 Autumn and winter are considered to be the best season for many tourists visiting the beautiful sights of Prague. The summer crowds of tourists are already history, so it is now an opportunity for those of us who prefer the silence in narrow streets and squares of the historic city center. 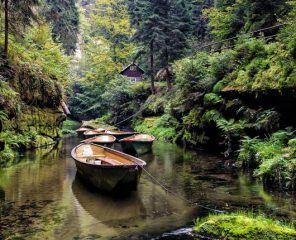 Whether you choose to spend your trip in a very warm September or in colder and mistier months, Prague is magical throughout all year round. What kind of weather should one expect in the particular months and how cold is Prague during winter time? In September, after the hot summer months, the air begins to cool slowly. Temperatures range between colder 16 ° C (61 °F) to pleasant 21 ° C (69 °F), sometimes still go up to summer ones. 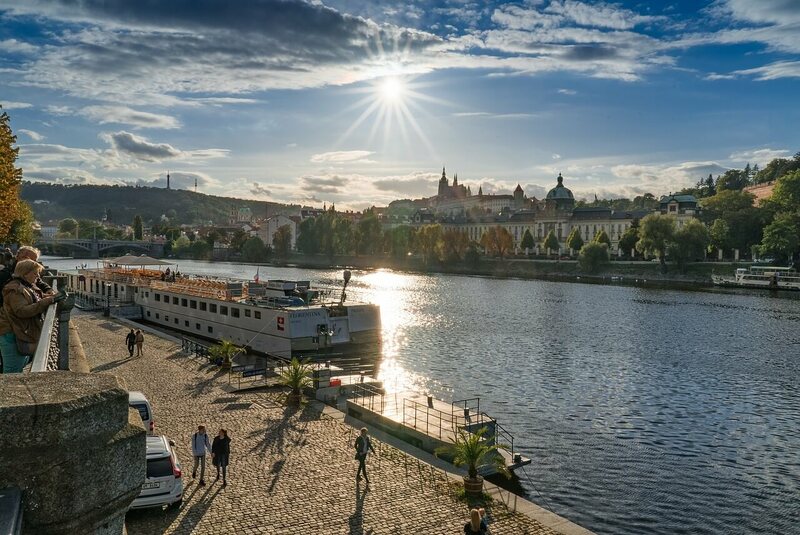 So if you prefer warm weather, in September you would be able to enjoy almost summer Prague, with fewer tourists compared to school holidays season. 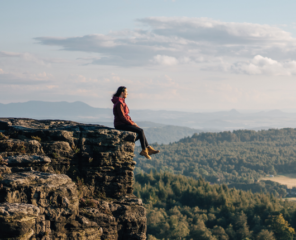 Do not expect hot summer nights though – after sunset the temperature falls to 11 ° C (52 °F). In September, take an umbrella for walking around Prague for sure. Even if you could be lucky to enjoy a pleasant, warm summer day, you could be surprised with rainy and windy weather. The average temperature in October varies around 12 ° C (54°F), decreasing to 5 ° C (41 °F) at the end of the month. Like in September, expect occasional rainy days. Autumn mornings cover Prague into peasouper, which makes some places looking mystical and spooky. If you are lucky enough to enjoy a rain shower, it does not mean you will not enjoy the trip. 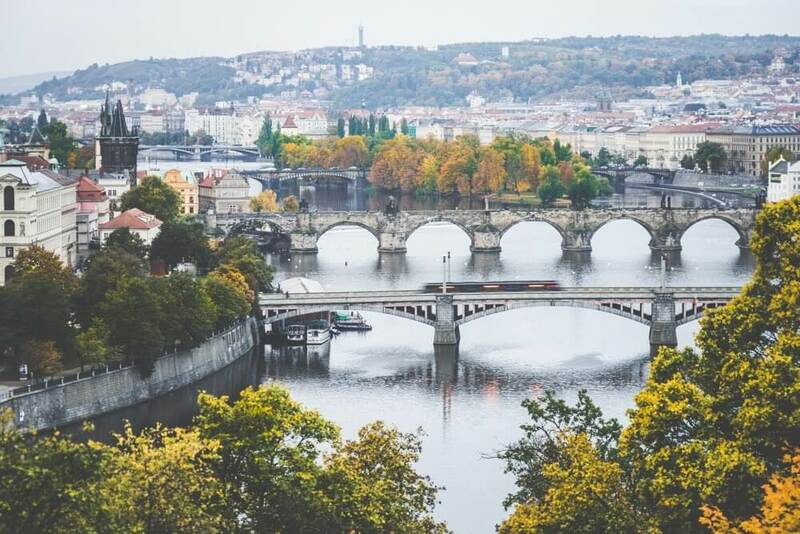 The advantage of cooler and autumn months is that tourists in the most attractive venues of Prague, compared to September and summer months, are significantly around less and less. If you would like to have a souvenir photo with astronomical clock without any foreign tourists from your trip, head to Prague in October. Autumn comes hand in hand with an absolute beauty that you will not experience in the summer – colorful trees and bushes in parks or gardens under the castle. In November, in Prague, you feel the coming winter for sure. Temperatures in the streets of Prague usually do not rise above 9 ° C (48 °F), the weather is often windy, foggy and rainy. Thermometers show the first temperatures below zero and the ground, especially at night, start to freeze. In the Czech Republic, they say, Saint Martin can surprise you coming on a white horse with snow, but that has not happened for quite a time already. The first snow is more an exception, but the November weather in the Czech Republic is quite unpredictable. Be sure not to forget the umbrella or raincoat, you will also find useful more layers of clothing. And warm socks, that’s the most important. In December, not only the cold but also the atmosphere of Christmas is coming. 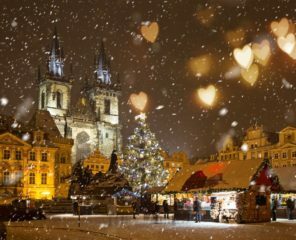 If you are Christmas markets lovers with everything around, a trip to Prague around Christmas would be a marvelous experience for you. If you are lucky, the temperature decreases below zero and the snow creates an unforgettable experience. In December, the snow is often replaced by light rain, it quickly melts and creates a “sludge.” The wind also significantly reduces the temperature, so we feel it’s colder than it actually is. Check weather forecast carefully before heading out. In addition to chilly days, very short days are also typical for December. Daylight is replaced by thousands of Christmas lights usually at 4.30pm. Temperatures are oscillating in December between 2 ° C (36 °F) and -2 ° C (28 °F) on average, exceptionally falling below. Anyway, pack proper winter footwear and warm clothes. While in Prague, why you don’t try something else? 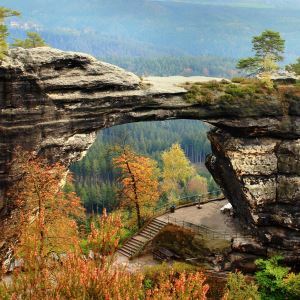 Check out our daily winter tours to Bohemian Switzerland. New Year’s Eve celebrations in Prague are wonderful and crazy with beautiful fireworks over the Vltava River. 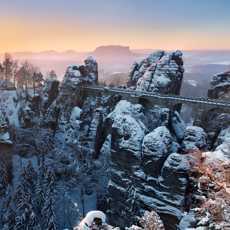 If you have decided to visit it at this time of year, be ready for a freezing winter. In the coldest month of the year, the air temperature falls to -10 ° C (14 °F), sometimes even lower. Don’t be afraid you will freeze. Once you wear warm clothes the real feeling of low temperatures isn’t as cold as in Russia, for example. 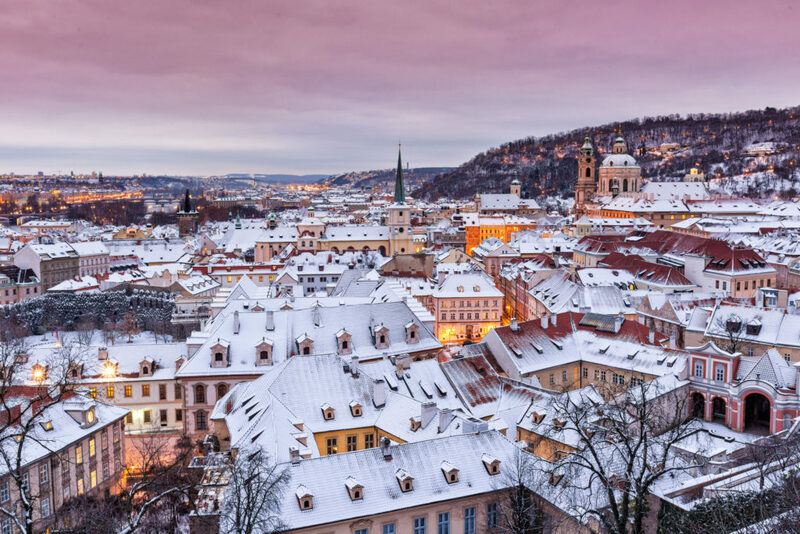 At this time, you have the best opportunity to admire the historic Prague buildings with a snow cap on the roofs and frosty window paintings. Strong freezing allows ice skating lovers to practice this sport on one of the many city’s ice rinks. Be sure to take the warmest winter clothes and shoes, so you do not slip on the frozen pavements. Many couples in love come to enjoy Valentine’s Day right in the heart of Prague. It is the right choice for all romantic people, but it is worth considering that February is still relatively chilly there. Especially at the beginning of the month, be prepared for the tough temperatures up to -10 ° C (14 °F). In the second half of the month, temperatures are slowly rising, but they are still at minus values. Snow is also slowly disappearing, but do not underestimate warm winter clothes again in February. With the first spring rays, new life comes to Prague. At the beginning of March, there could still be some snow leftovers, which finally melt by the end of the month. Temperatures rarely fall below zero. On the contrary, they rise to more pleasant 8 to 14 ° C (46 – 57 °F). The parks and gardens are fresh and bright and blooming with the first spring flowers. Still, do not underestimate rain and wind gears, these two elements are quite common for this period. Getting on and packing for a trip in March is quite challenging because the weather is changing very fast. However, it is always better to have extra warm clothing and a windbreaker handy, then to walk out in a light pullover and get wet. 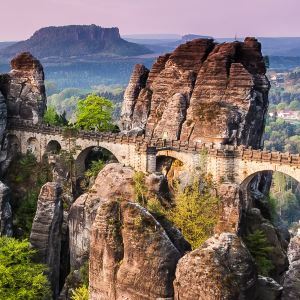 For a trip to one of the most beautiful European cities, you can choose literally any season. If it rains, find a hideout in some of the cafes, restaurants, museums or galleries; in cold weather grab a punch drink out of the Christmas markets and have fun while skating. Not only in September but also in the colder autumn and winter months, there is still a lot to admire and experience in magnificent Prague. Take the right clothes, and you are ready for the unforgettable trip in every weather.